First, the bad news: Once oxygen escapes from your coffee beans or grounds, leaving you with a bitter and stale cup of Joe, you can't force that O2 to come back. The good news, however, is that you can slow down how quickly the oxygen escapes by following a few simple storage rules -- plus, you can even mask that stale flavor by adding one or two ingredients to your brew. 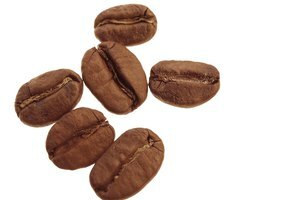 Whole coffee beans typically start losing freshness after three weeks, and ground coffee can begin to go stale within an hour of grinding. You can decelerate the rate at which they go stale by keeping them away from excessive air, moisture, heat and light. Transfer the beans or grounds to an airtight container; avoid plastic or metal containers, which can alter the flavor of the coffee. Store the container in a dark, dry spot, such as the bottom shelf of a pantry or a rarely used cupboard. 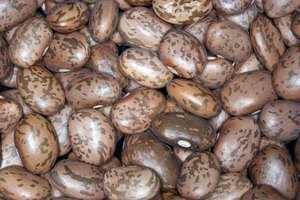 For large quantities of beans or grounds that you won't immediately use, separate them into small portions, wrap them in airtight packages and place them in the freezer for up to a month. 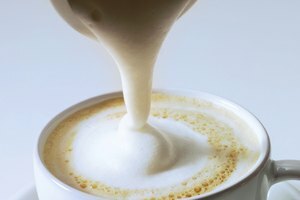 The smooth, savory, sweet flavor of vanilla goes well with coffee, meaning it can balance the bitter or flat notes of stale coffee. Add about 1/4 teaspoon of vanilla extract per 6-ounce cup of coffee to your grounds before you brew them or to the beans before you grind them. You can add more or less based on your preference. If possible, use a vanilla pod instead of extract for a purer vanilla taste. One pod per 6-ounce cup of coffee should be enough. Whether you use a pod or extract, add it to your beans or grounds and let them sit overnight for a richer vanilla flavor in the morning. These two spices are classic accompaniments to coffee, and when you add them to beans or grounds before brewing, they can freshen up the finished cup. Sprinkle about 1/8 teaspoon of cinnamon or nutmeg per 6-ounce cup of coffee to the beans before grinding or to the grounds before brewing. Add more or less based on your preference. Try adding a combination of cinnamon and nutmeg to your beans or grounds, but don't add too much at first -- begin with 1/8 teaspoon total of both and increase from there. 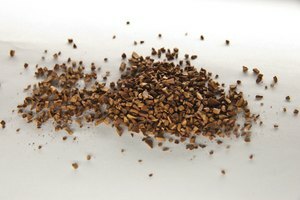 Although adding salt to coffee beans or grounds may sound strange, it reduces the bitter flavor of a stale cup of coffee -- without making your coffee taste salty. Sprinkle about 1/8 teaspoon of salt per 6-ounce cup of coffee to the beans before you grind them or to the grounds before you brew them. Add more or less based on your preference. Add slightly less sea salt than table salt.